I have been accused of having "blood on my hands" after the murders in Colorado by a deranged lunatic. Leftists have said that the rhetoric of abortion opponents generally (and me specifically) inspired this man to attack a Planned Parenthood "clinic" and murder people. Blaming me personally is silly. I very much doubt that Robert Dear has ever read my blog, any of my letters to the editor or my online comments, or watched video of any speech I have made. To say that I personally inspired someone who does not even know I exist is absurd. Hiding the truth about abortion is not civility, it is cowardice -- June 19, 2009. What the shooting's aftermath shows is a disturbing impulse of the Left when confronted with speech they do not like: Leftists want to silence opposing viewpoints instead of debating ideas on their merits. Leftists see this particular shooting as an opportunity to shame and browbeat abortion opponents into silence, and maybe even make our speech illegal. This is because they are afraid to actually debate abortion itself. They do not want to address pro-life arguments about the humanity of the unborn baby, so they try to silence us instead. Are pro-abortion arguments really so weak that they cannot stand up against an opposing argument? Is the only way for pro-abortion arguments to prosper is for opposing arguments to be silenced? I have said this many times, but it deserves to be repeated: If you want me to stop using harsh rhetoric against abortion, then prove to me that the fetus is not a human being and that abortion does not end a human life. If you can do that, I will not only stop opposing abortion, I will rebuke those who continue to use that harsh rhetoric. But if the fetus really is a human being, then there is virtually no rhetoric - short of advocating extrajudicial violence against abortion providers - that is too harsh to be used to describe abortion. In fact, terms like slaughter and mass murder fall short of the true horror of fifty million lives lost since 1973 and over a million lives lost every year. A more appropriate word would be holocaust, because of the sheer volume of little babies exterminated. Murdering abortion providers is a wicked thing that cannot be justified. But abortion itself is a far more horrible evil than that, because of the sheer numbers of innocent babies murdered and because they are the most defenseless and innocent victims - exactly the kind of person our civil magistrate should be most adamant about defending. The anti-abortion movement must never stop speaking up for these little babies and speaking the truth about the horror of abortion. 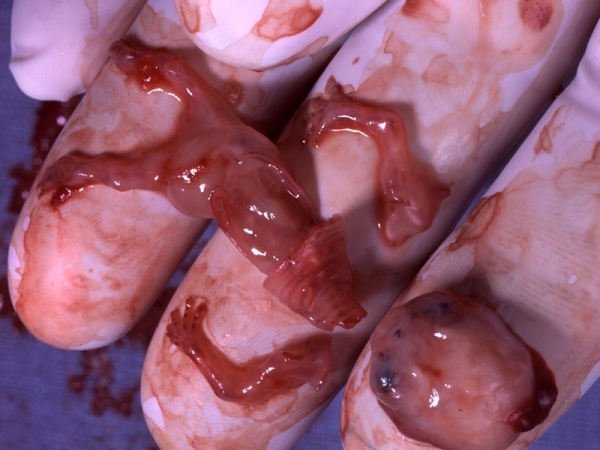 An abortion at 8 weeks. 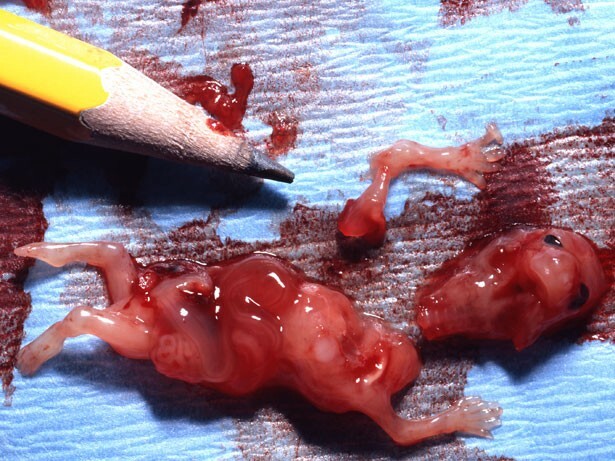 An abortion at 9 weeks.